Hotel Green Park in Baner is one of the older restaurants in Pune with great location, large area and serving a wide variety of dishes. You can take a look at one eye-candy below, it tasted as wonderful as it looks. We had visited this restaurant few times 3-4 years ago but tried mostly Indian/Punjabi dishes and didn't find them extra-ordinary at that time. 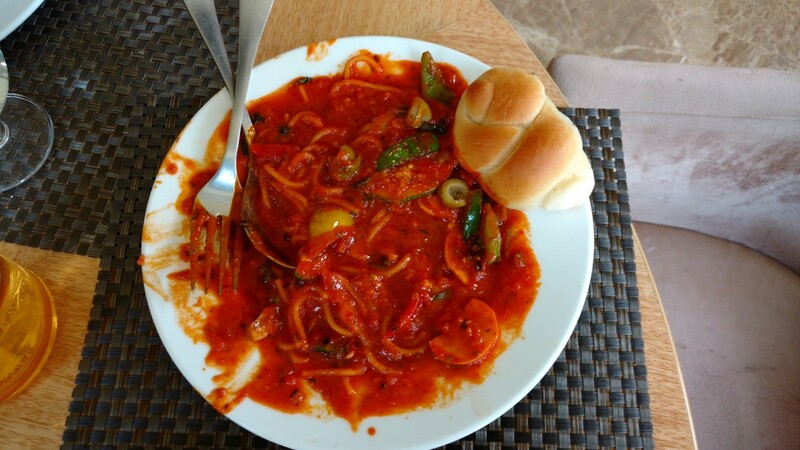 This time we were looking for something continental in Baner, so we decided to try Hotel Green Park's continental food. We reached there quite late, almost around 3.40 PM and we were wondering if they'd serve us. The severs there were quite polite and affirmed that they could serve what we want, but we needed to give our entire order in one go. We were quite fine with this and ordered these dishes: Mexican Chilli Bean Soup, Veg Enchiladas, Spaghetti Arrabbiata and Fajitas Veg that you see above. 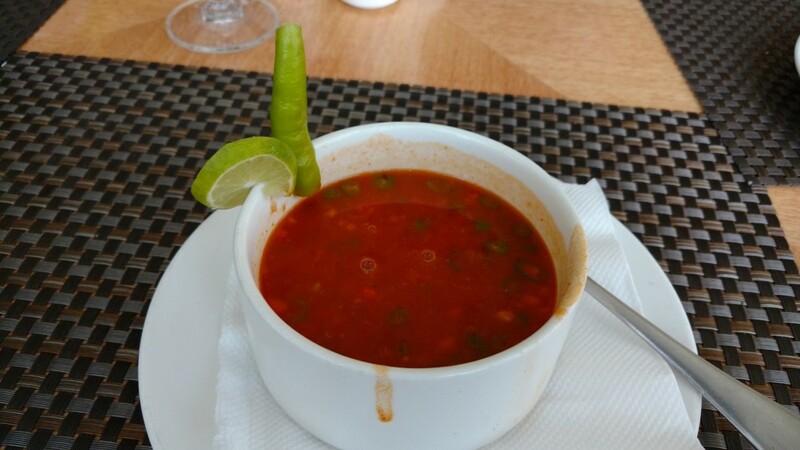 The soup was wonderful - right amount of spice, taste and aroma. We loved it! The dishes took some time, but the delay was acceptable. The presentation of the dishes as well as their taste were quite good, though they were slightly on the sweetish side. But they are definitely much better than what you get in the name of continental dishes at restaurants like Shivsagar (JM Road, Aundh) or Darshan (Deccan). Of course, the taste is not in the league of Little Italy or Malaka Spice but it is definitely on the better side. 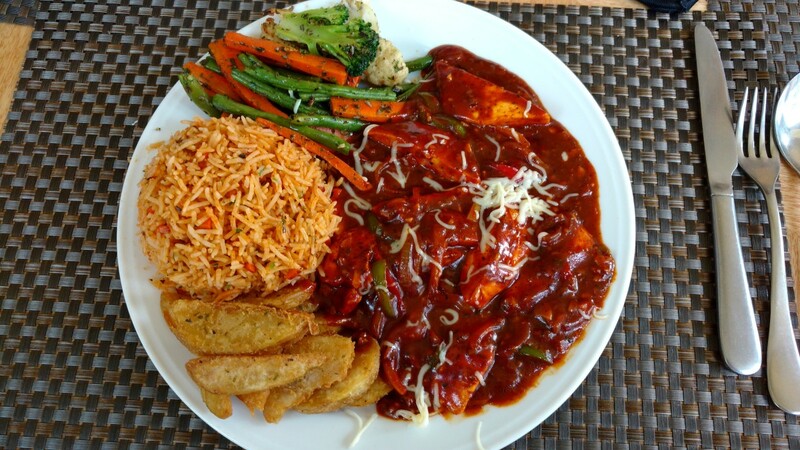 The paneer (cottage cheese) in the Fajitas was soft and perfectly blended with the slightly sweetish sauce, with some tasty grilled veggies, flavoured rice and potato wadges. In fact, I loved the combo plate concept of Fajitas Veg and wouldn't mind ordering it again as a wonderful one-dish meal. The Spaghetti Arrabbiata tasted quite good with plenty of sauce (not the dryish pasta that you get at some places) and I like that they put veggies in the pasta. The accompanying bread was nice, though garlic bread would have been much better. 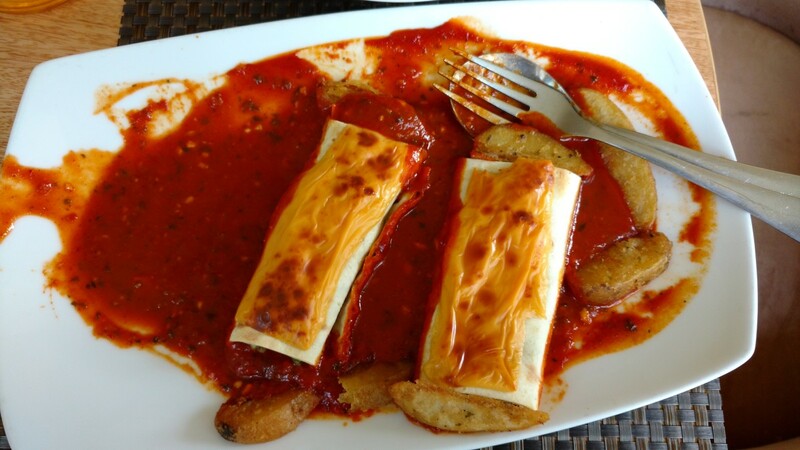 Veg Enchiladas were nice, with plenty of cheese and it is really difficult to finish this dish. But the taste was nice. The quantity is more than enough, in fact slightly on the higher side. It would be challenging for one person to finish a dish like Fajitas Veg for dinner, especially after a soup or starter. Service was quite prompt and polite, no complaints whatsoever! Though we sat indoor this time, they have wonderful garden and ambiance. The prices are slightly higher, but given the quantity and quality of the dishes, they seem justified. I am not a fan of their Indian/Punabi food, but I would definitely recommend them for these type of dishes. They are definitely worth visiting if you're looking for a nice family lunch/dinner in Baner!